We’ll probably never know why Alexander (b. 1788 d. cir. 1855) and Charity (b. 1798 – d. 1873) Freeman chose to relocate from Bladen County to the headwaters of Myrtle Grove Sound in the 1840s but they appear in the 1840 New Hanover County Census in the “Lower Black River District” (probably in what is now Bladen County) of New Hanover County in a household of 7. Listed in the 1830 & 1840 censuses as “free colored persons,” the family has always proudly claimed a family lineage that includes significant Native American heredity. In the 1860 Census of Federal Point Robert Bruce Freeman (b. 1832 – d. 1901) is listed as a fisherman and the value of his real estate is listed at $100.00. In 1857 Robert Bruce married Catherine Davis (b. 1837) probably a relative of the nearby Davis family. By 1870 their family had grown to include Archie (b. 1857 – d. 1930), and Robert Bruce Jr. (b. 1859 – d. 1944), as well as Catherine (b. 1863), Daniel (b. 1867), and Roland (b. 1869). Their last son, Ellis, was born in 1875. By the 1870 census almost half of the population of Federal Point Township was listed as black or mulatto and Robert Bruce and Catherine were clearly leaders of their community. In December 1870 Robert Bruce was appointed to the School Committee of Federal Point. By the mid 1870s he had donated land to build a school for “the colored children of Federal Point.” The school opened in 1877, and had 34 students led by teacher Charles M. Epps. In January 1876 Robert Bruce purchased almost 2,500 acres of land including the old Sedgeley Abbey and Gander Hall plantations with land running between the Atlantic Ocean and the Cape Fear River, becoming one of the largest land holders in New Hanover County. Robert Bruce donated 10 acres of land along the river (taken from the former Gander Hall Plantation) to St. Stephens AME church in Wilmington to use as a campground – the beginning of the concept of using the sandy waterfront land as an escape for African-American city dwellers. 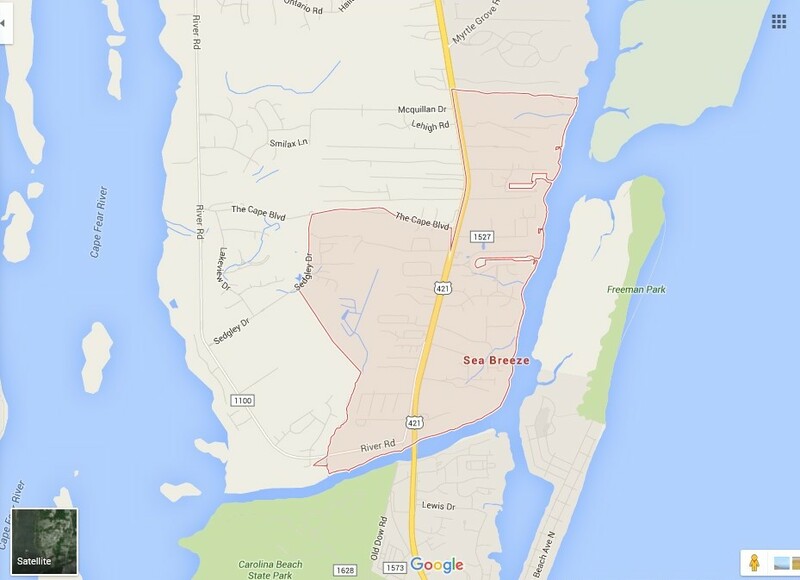 It is clear that Robert Bruce Freeman was considered a “significant” citizen of the Lower Cape Fear. He is listed as serving on the Criminal Court Grand Jury in Wilmington in local newspapers including October, 1879; February, 1884; and January, 1888. Catherine died, sometime in the 1870s and in 1888 Robert Bruce married his second wife, Lena (Lizzy) Davis (b. 1871 – d. 1944) and added four additional children to the family; Roscoe, Dorotha, Benjamin, and Tahlia. Robert Bruce died in 1901 and was buried in a family cemetery. At his death his land was parceled into tracts, designed to be self-supporting waterfront properties. Unfortunately, the vagueness of the bequest to Lena’s children would haunt the family into the 21st Century. As early as 1914 “the court appointed a board of commissioners to determine the boundaries for each tract. They decided that the tracts would run west to east, from the Cape Fear River to the Atlantic Ocean. This gave each heir access to the river, sound, ocean, and soil suitable for cultivation. The Freemans fished the Intracoastal Waterway with family using casting nets, taking homemade poles into the sound, or sitting on a pier, waiting patiently with baited hook. Somebody had to harvest clams to make those well-known fritters, and kids joined adults in hauling the mollusks. The Freeman family was legendary for its fishing prowess and had a ‘spot’ that was all its own near Fort Fisher. 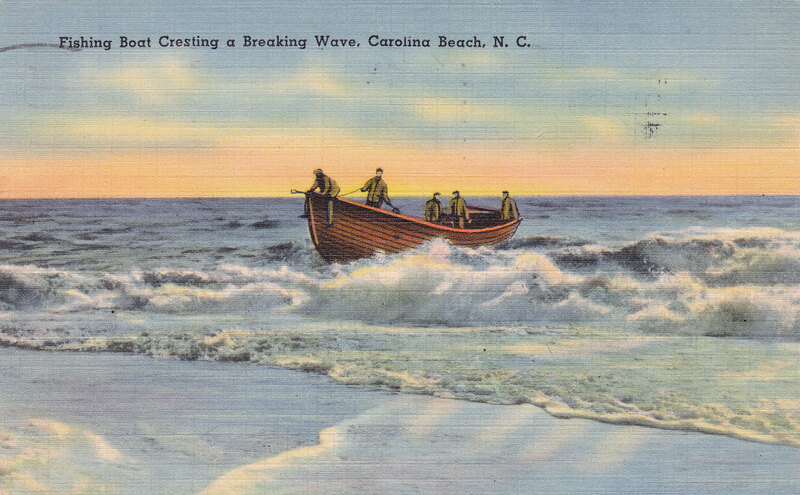 Other fishing boats respected the Freemans’ territorial rights and did not compete near Fort Fisher. The family owned one motor and three boats, so it was not uncommon to see them string at least two boats together with a rope. Customers, both black and white, looked forward to the Freemans’ return with the catch of the day. The Freeman brothers cast wide nets to catch their bait, typically shad, menhaden, pogie, herring. Throughout the day, the Freemans strung up their catch on sea oats, and at the end of the day they would charge 25 cents per string. Kids looking forward to a good meal would watch for the Freeman boats and swim out to help pull them ashore.